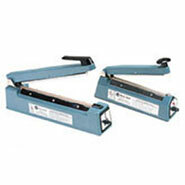 W x H + Gusset: 6" x 9" + 2.5"
Compare to Uline S-19173 and Save! These 6" x 9" + 2.5" Zipper Pouches with heat sealable header are ideal for presenting a product with their 1.5" K seal bottom, which allows the bag to stand up. The 2.5 inch Bottom Gusset Zipper Bags are also great for storing and displaying foods such as granola, coffee, and bite sized snacks. They are filled through the top and have a 1.25 inch heat sealable header above the zipper with tear notches for easy opening. Once the tamper proof header seal is broken, the bag can be reclosed with the user friendly zipper. 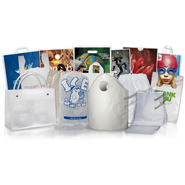 These Clear Stand Up Zipper Bags are composed of a 2 mil LLDPE (linear low-density polyethylene) laminated with .51 mil PVDC Coated PET (polyethylene terephthalate). They are packed 1000 per case. Food Contact: 2 mil LLDPE (linear low-density polyethylene) laminated with .51 mil PVDC Coated PET (polyethylene terephthalate) is suitable for most applications involving direct Contact with foodstuffs. They are manufactured to meet current Food Contact regulations. FDA approved. Film Storage: These bags should be stored in its original wrapping away from any source of local heating or direct sunlight at temperatures between 60-75°F and at a relative humidity of 35-55%. Unlike Cellophane, these LLDPE bags do not have a shelf life.